Up until last weekend the end of 2009 was snowless. A sad fact for me. I grew up very near Buffalo, NY and I was used to snow covered winters. I love snow! I love slogging through it, I even love shoveling it. Of course, I have a short city walk, not a big long drive like Florrie at the Croakery. If I did I might change my tune! 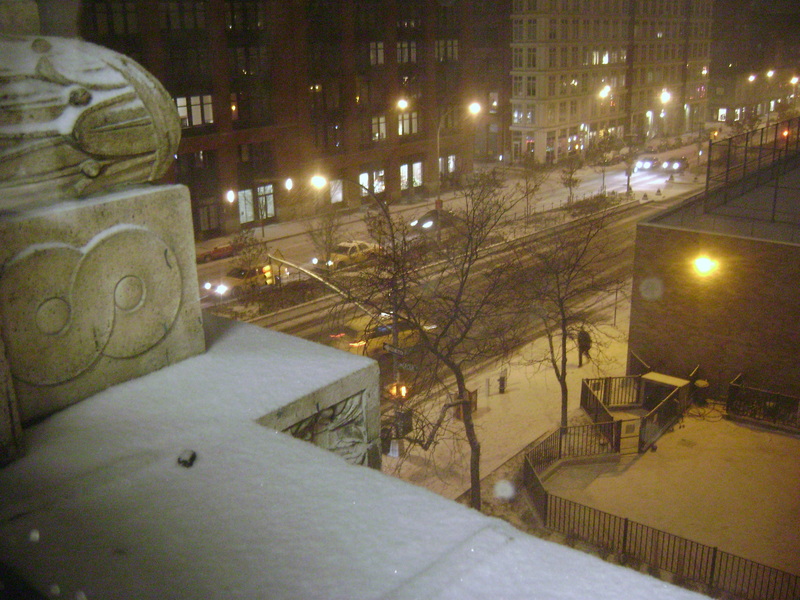 …it was starting to stick and even accumulate! It was very exciting. It was coming down pretty good. I left work a few hours later, it was still coming down and the wind kicked up so that as I walked towards the subway I had to keep my head down. This was no tame little snowfall! 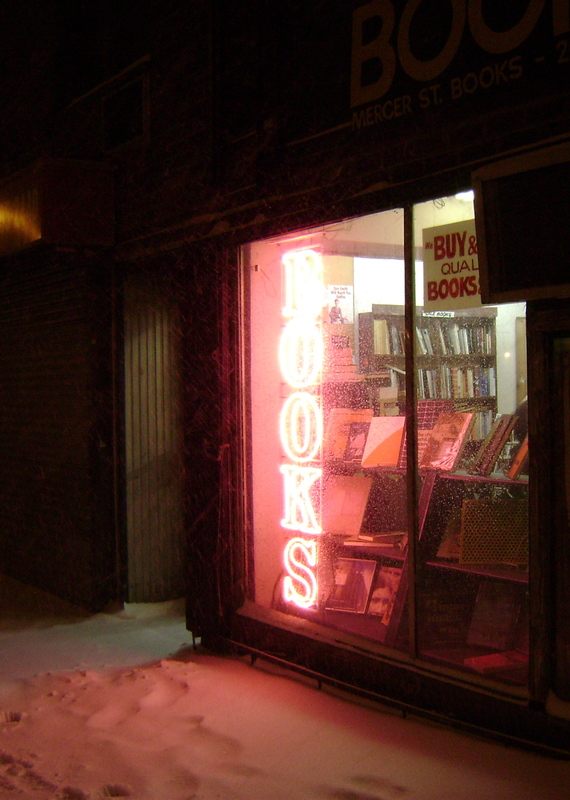 I loved the way the pink neon light in this bookstore caught the snow. 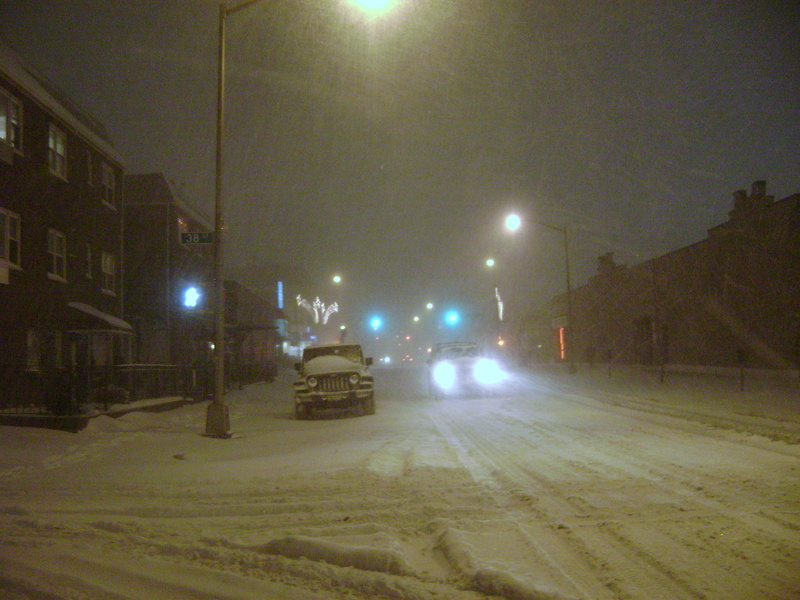 When I arrived in Queens it was a winter wonderland. 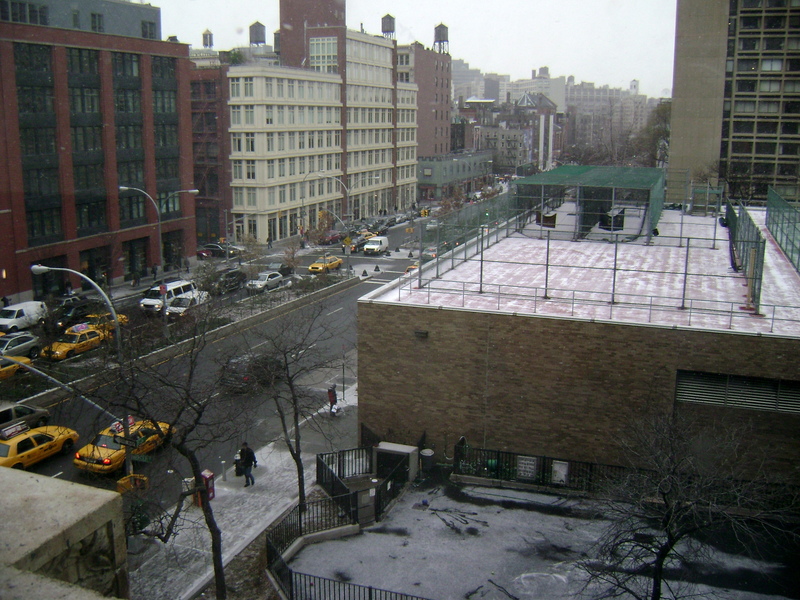 The streets were bare as people sheltered in their homes for the storm. I love the solitued that comes with snow. 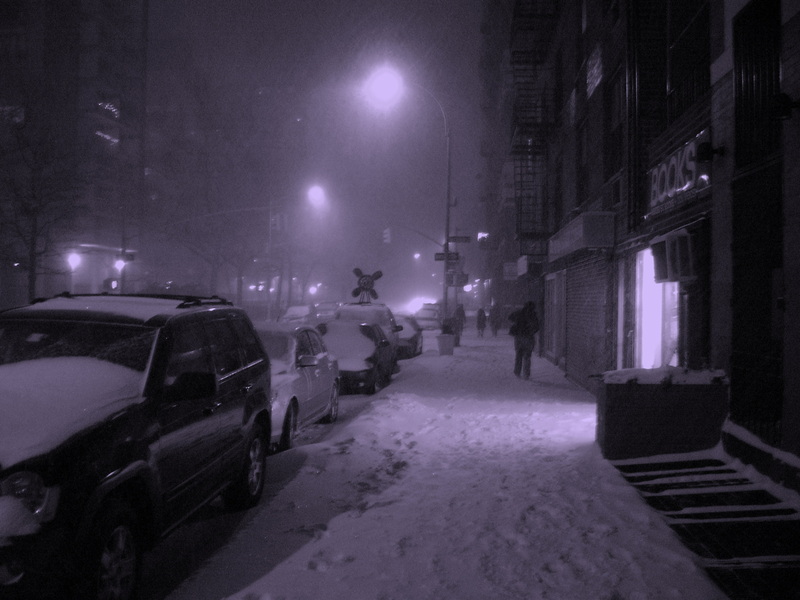 As a kid I woudl go outside, especially at night and just walk around my backyard in the snow. I loved the hush it pulls down over the trees and buildings, and I still do. My Landlord was out of town for the night so I grabbed the shovel and cleared the walk. By morning it would need another go. 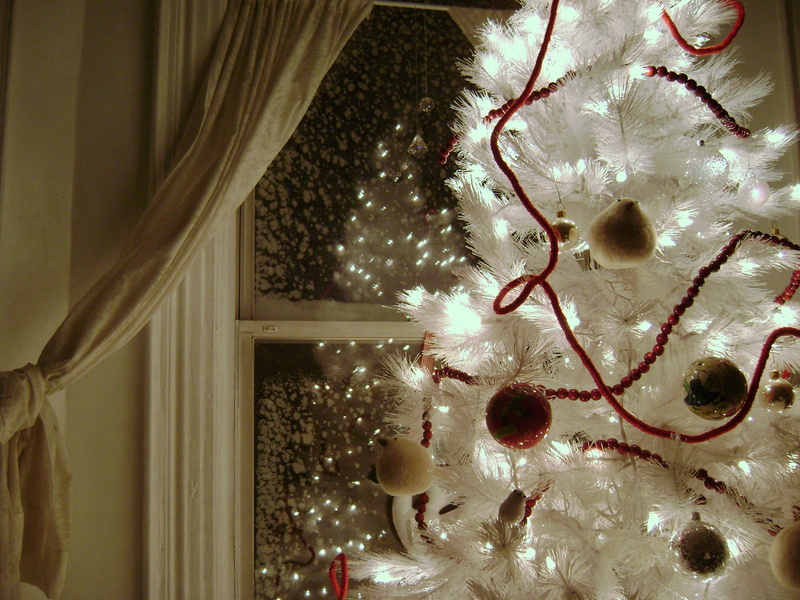 But for now I was inside and cosy, with my twinkly tree lights and my friendly cat, George while the storm blew outside. I did a little knitting and finally hunkered down under my down comforter. I fell asleep counting my blessings, instead of sheep.